On November 9, 1988, a movie was released that would spawn off a whole new sub-genre of horror films. 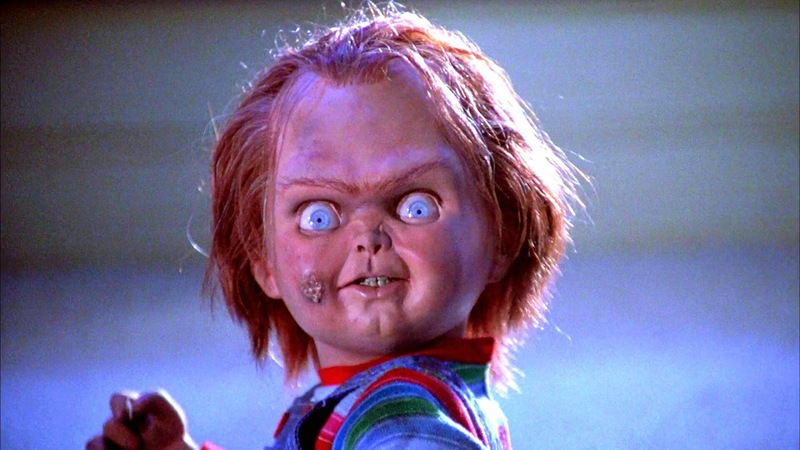 That sub-genre was killer doll movies, and that movie was CHILD'S PLAY. Don't get me wrong, killer doll movies have been around long before CHILD'S PLAY was even an idea (TRILOGY OF TERROR, MAGIC), but what creator Don Mancini and director Tom Holland were able to capture was the true magic of film-making. The premise was simple: a struggling mother buys her son the season's hottest toy, a Good Guy doll, from a peddler in the alley behind her work. She gives her son the doll in the hopes that his birthday wishes come true. And they do...for awhile. But the doll has a backstory that neither the peddler, mother or the son could possibly know. 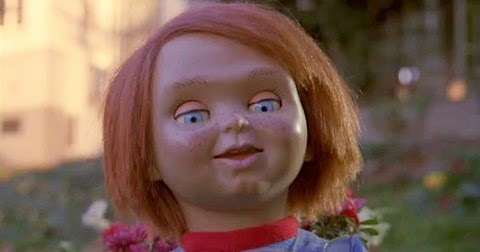 Just days earlier, a serial killer named Charles Lee Ray was gunned down in a local toy story. With his final breaths, he uttered a voodoo chant that transferred his soul from his dying human body into that of a nearby Good Guy doll he had gathered. And thus, Chucky was born. Chucky learns that he only has a limited amount of time to transfer his soul back into a human body or else he trapped in a doll forever. You guessed it, Chucky plans to be six years old again. So here's a Happy 26th Anniversary to CHILD'S PLAY, a series of killer doll movies that have changed the lanscape of horror ever since. And if last year's CURSE OF CHUCKY was any indication, this is one franchise that has no plans of stopping any time soon. And I say go for it! Another little tidbit, this is also the 24th Anniversary of CHILD'S PLAY 2 -- released on the same day as the original, just two years later. In the sequel, Chucky tracks down Andy, the boy from the original, and makes his plans known. His time is running out and he knows it. So do yourself a favor, watch CHILD'S PLAY 1 and 2 back-to-back today. I realize this article is a day late, but yesterday was Sunday -- I watched football (even though my Colts had a bye-week).